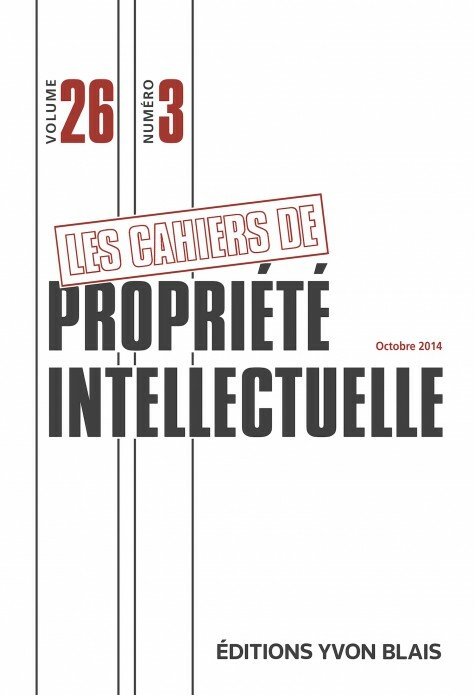 "L’immunité de la Couronne à l’égard des lois, la Loi sur le droit d’auteur et l’affaire Manitoba c. Canadian Copyright Licensing Agency" (2014) 26:3 CPI 823. In Manitoba v. Canadian Copyright Licensing Agency (“Access Copyright”), the Federal Court of Appeal settled a longstanding debate concerning the Copyright Act by holding that it binds the Crown. In confirming the decision of the Canadian Copyright Bureau, the Court stated that, despite the absence of any express mention in the Copyright Act, Parliament intended to derogate from the principle of Crown immunity codified at section 17 of the federal Interpretation Act. The present case comment reviews the Copyright Bureau decision and the Court of Appeal judgment and seeks to recast a debate seemingly concerning an issue of statutory interpretation within its broader historical and constitutional context. This content has been updated on 5 July 2017 at 14 h 44 min.